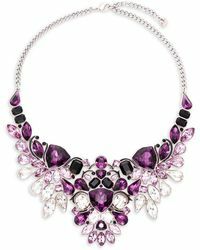 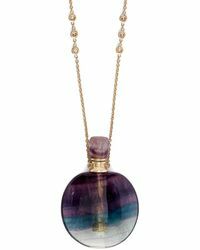 There’s something mysterious about a purple necklace and we can’t get enough. 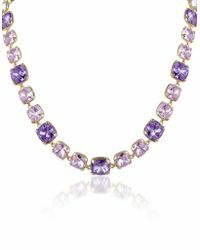 Adding a sense of richness to any outfit, a purple necklace is a great way to take your look out of its comfort zone. 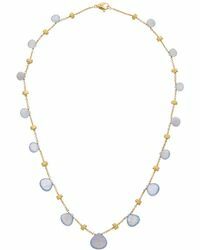 True Rocks, Lily Kamper and Konstantino offers styles with a mystique quality that are sure to leave a memorable impression. 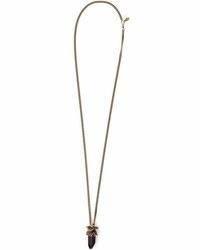 Wear yours with distressed denim to add a vintage-inspired edge to your wardrobe. 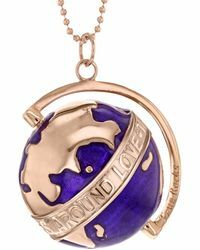 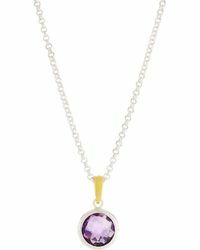 Showing 1,220 results for "Women's Purple Necklaces"
New Small Purple Spinning Globe Necklace In Purple Enamel & 18 Carat Rose Gold Plate "the Whole World Revolves Around Love"